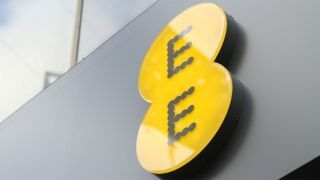 UK telco EE has launched a suite of cloud apps designed to help employees at small businesses be more productive. Imaginatively called Business Apps, it provides firms with access to a slew of office, publishing and accounting apps from companies such as Sage and Microsoft. Taking out one or more of the apps from EE, rather than their respective vendors, can bag you extras - such as extra storage capacity, increased bandwidth and greater data allowances. Additionally, the apps are available with single sign on, meaning businesses only need to share one username and password to access all of the apps, and data is securely backed up and stored online. Seven apps have been outed as part of an initial bunch, with more to follow. You can get access to the apps whatever EE business contract you're on, but being on certain ones (listed below) will bag you the goodies. Sage has two apps as part of the initial selection. Businesses can take out Sage Payroll and Sage Accounts (the former is included for free) for £10 per month, rather than the usual price of £15. If you're on EE plan 2, you'll also get 1G of extra data per month. Taking out Microsoft Office 365 - which includes Word, Excel, and PointPoint - will bag you 1GB of extra data per month when added to EE plan 2, which costs £8.40 per month. MozyPro, an online backup service available on multiple platforms, is available at a cost of £7 per month (for 12 months) for EE customers on 4G plans costing £35 or more per month. That's the same price that's listed on MozyPro's website, but you'll get double the amount of storage (20GB, rather than 10GB) and an unlimited number of users when taken from EE. If you're on EE plan 2, you'll also get 1GB of extra data per month. Receipt processing app Receipt Bank is available at a discounted launch price of £6 per month, while website building service Moonfruit is available with unlimited download bandwidth and an increased item sale limit for £6.67 per month. Legal Manager, Credit HQ and Zendesk are also available as part of the suite. In a statement, EE said it launched Business Apps after discovering that 37% of small business employees - the equivalent of 5 million workers - felt they would be more productive if they could use apps tailored to their job. The findings came after an online survey of 1,083 UK small businesses conducted by Vision Critical during May 2014. What's EE doing in the countryside?